To be honest, I have never been a big bot wearer. My passion for boots was limited on watching beautiful women in beautiful boots. But running our page has raised a question. 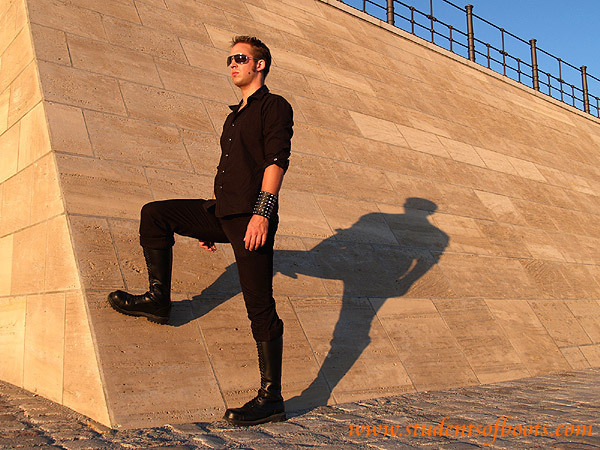 Is there a fashion for men with boots, which is not connected to functional wear (rubber boots, working boots) nor copied from women’s wear? A fashion that puts men’s aesthetic to the front? There is, but it has not become really popular yet. This is our suggestion for men’s fashion winter/fall 2006. You may have already noticed, that this outfit is very manly and a bit menacingly. 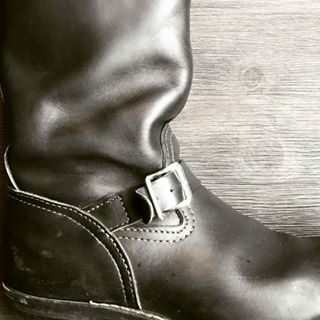 The boots have steel toe caps and reach up to the knee. As soon as you put them on, your way of walking changes immediately. Your steps become big, proud and heavy automatically. These boots are often worn by political right and left extremists. Also you would find these boots often in the gothic scene. Those three groups have in common, that they like to stand out of the mass and maybe even shock with their fashion. These boots are saying: “Do not get to close! I am dangerous!” In my case, this look helps me. It helps to cover my way too loving character. I belong to the kind of people, that never can say “No!”. If I would wear Hawaiian shirts with flip-flops, nobody would take me serious. With this look you have the surprise effect on your site. People will be very surprised, that somebody who wears an outfit like that, can be so nice and polite. You always leave a strong impression. The perfect outfit for men who heard the sentence “Let us just be good friends” way too often. Although I like riding or bier style boots more these looks are really great!